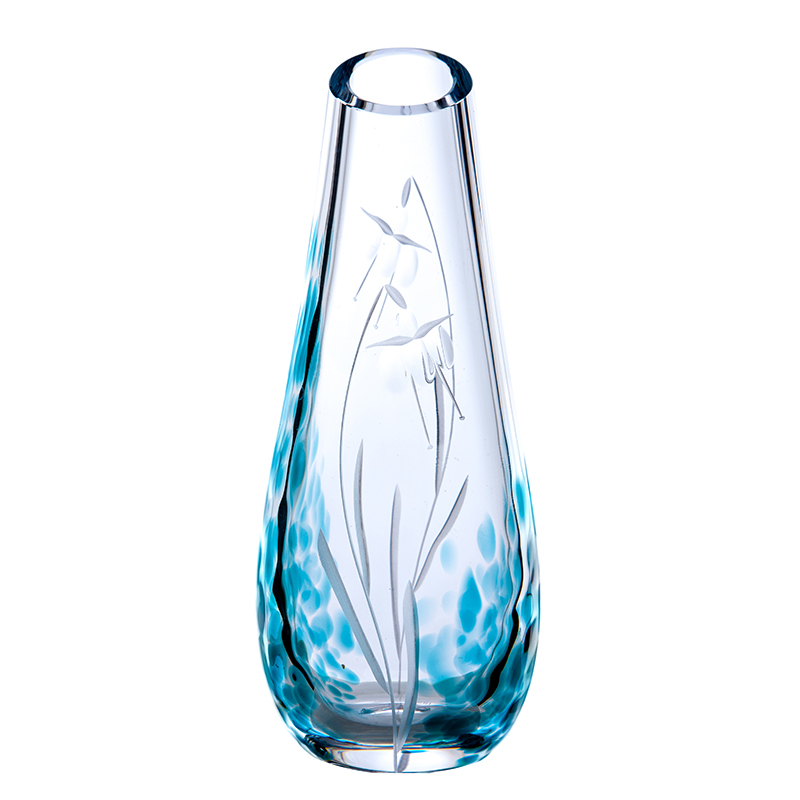 8″ Tall bud vase, etched with the Fuchia flower pattern and hints of teal colouring. The elegant Celtic Meadow Bud Vase stands approx 8″ tall and continues the Fuchia pattern of the collection. Each mouth blown piece has had teal colouring added during the blowing process which enhances the floral pattern.